Find her with Alina and friends. Look in the garden. Look up and down. 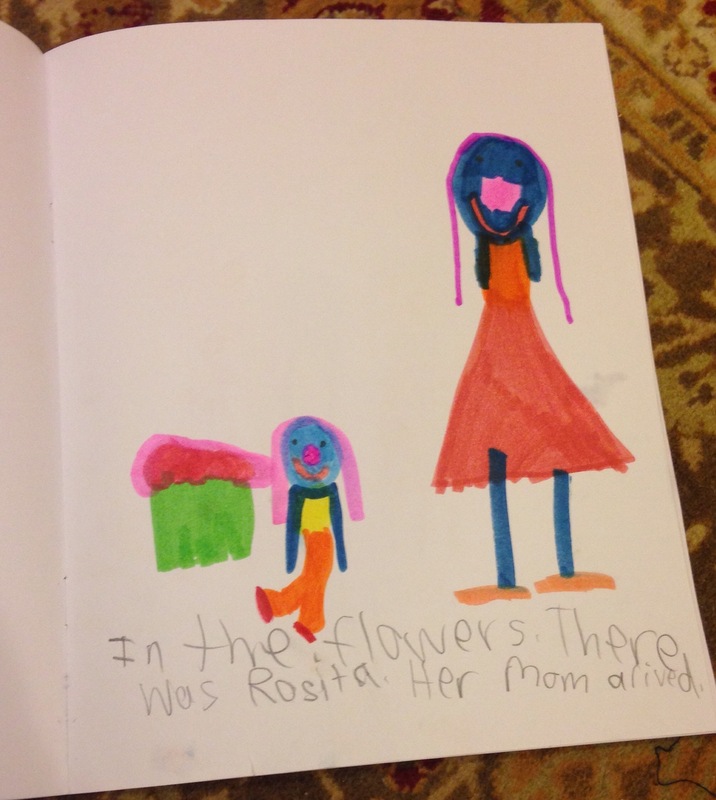 Rosita is small & blue. Rosita is cute. 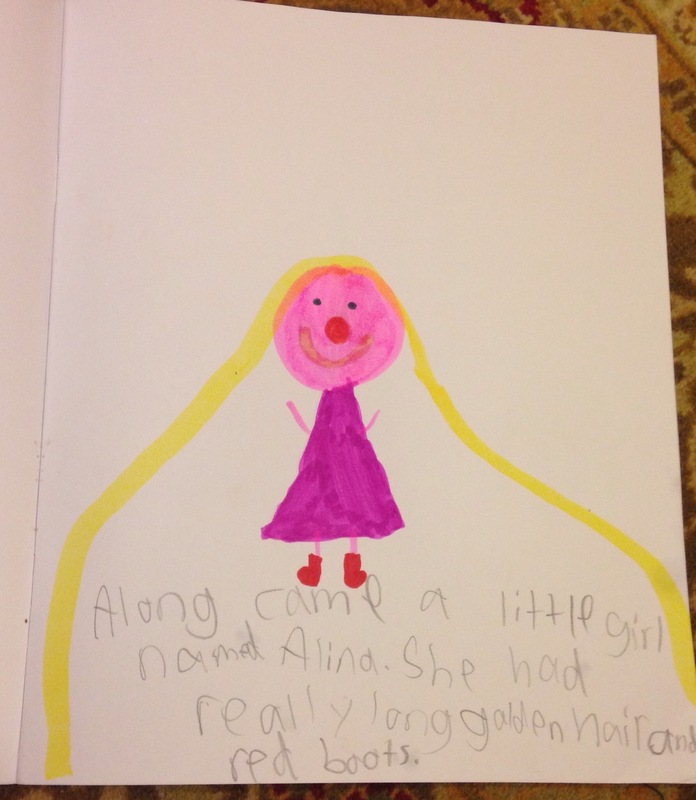 Along came a little girl named Alina. She had really long golden hair and red boots. 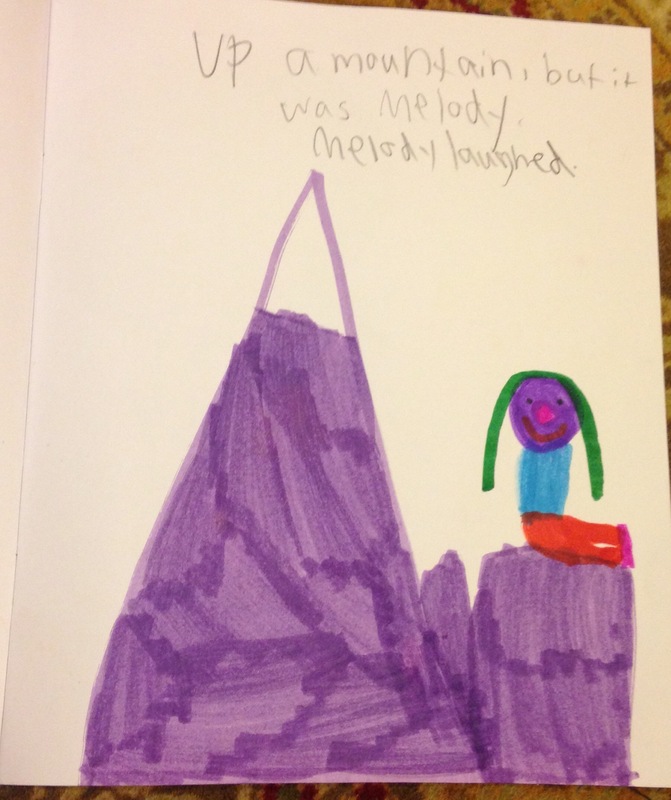 Up a mountain, but it was Melody. Melody laughed. 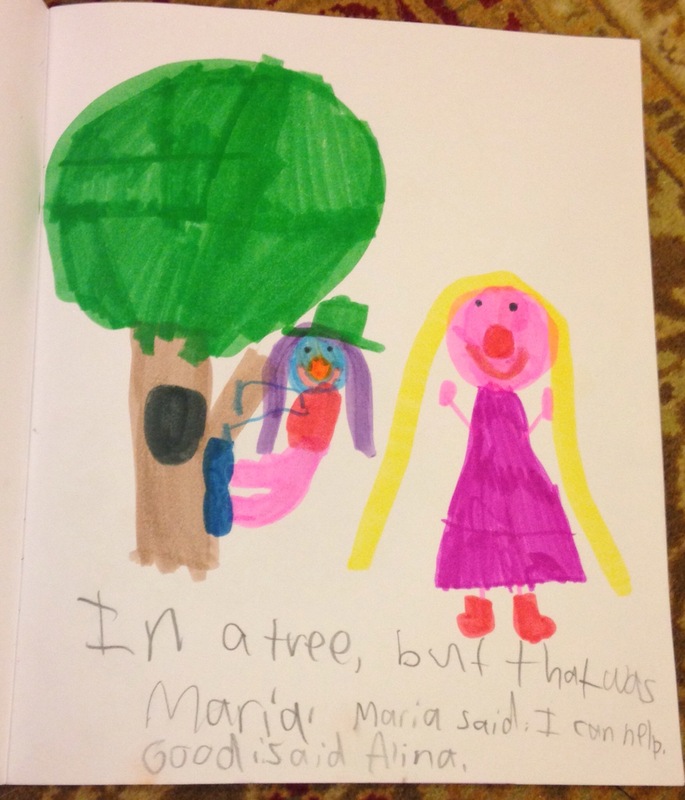 In a tree, but that was Maria. Maria said, I can help. Good, said Alina. 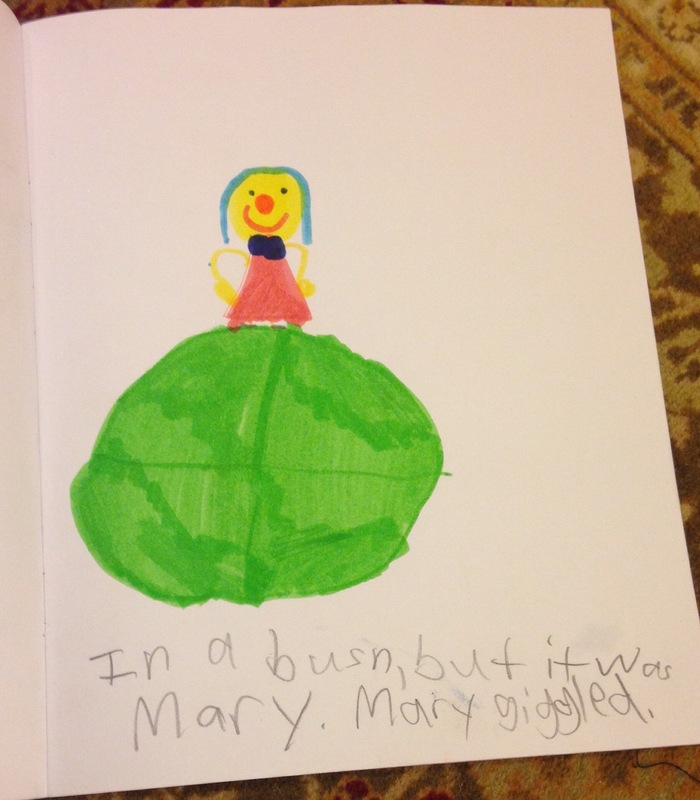 In a bush, but it was Mary. Mary giggled. 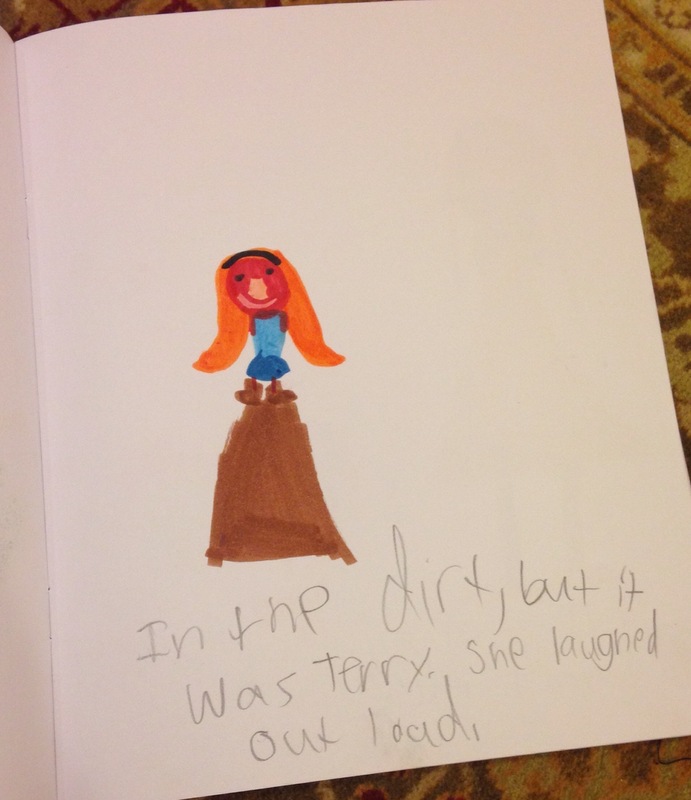 In the dirt, but it was Terry. She laughed out loud. In the flowers. 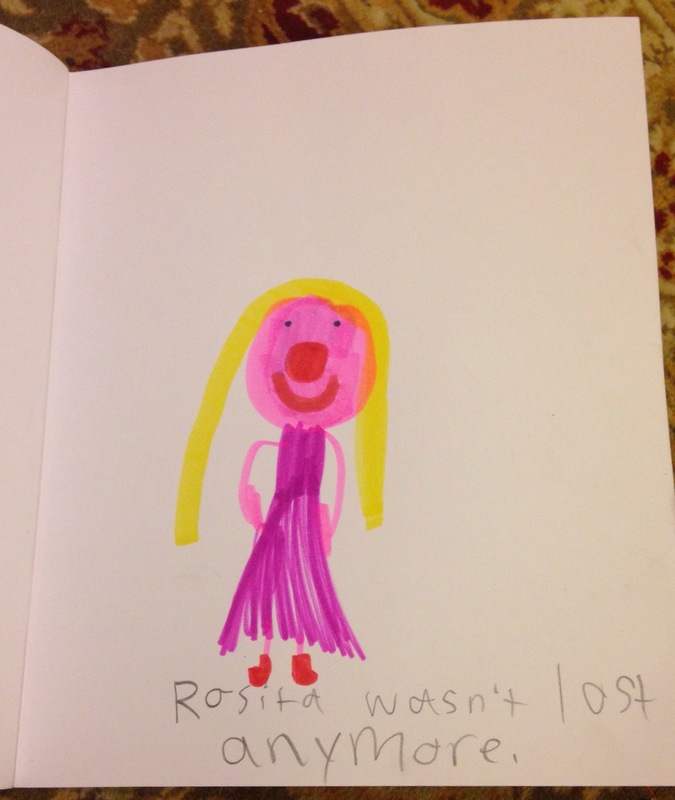 There was Rosita. Her mom arived. 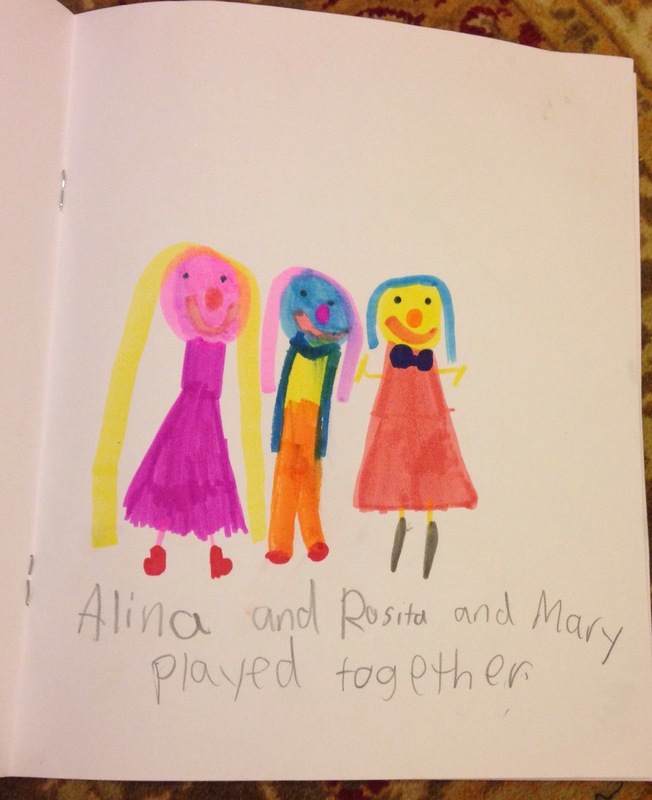 Alina and Rosita and Mary played together. Every one made wishes. 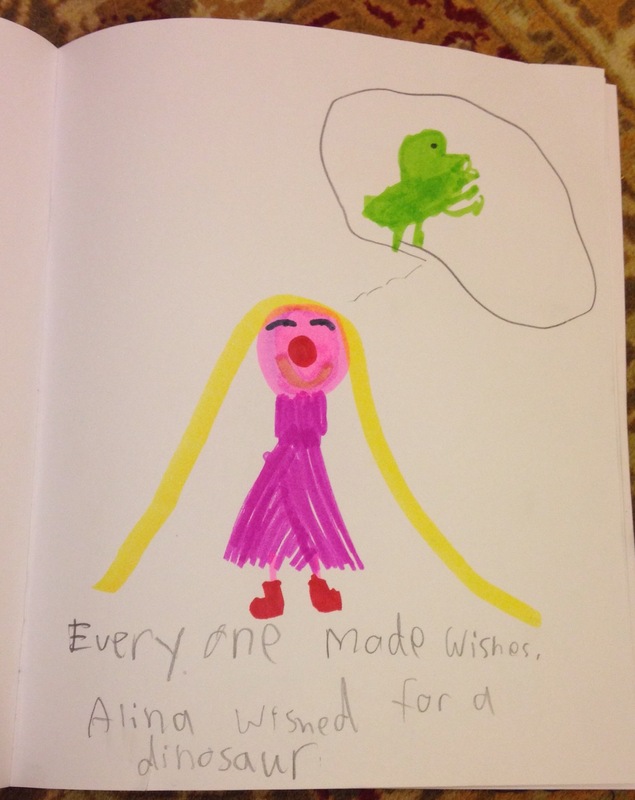 Alina wished for a dinosaur. 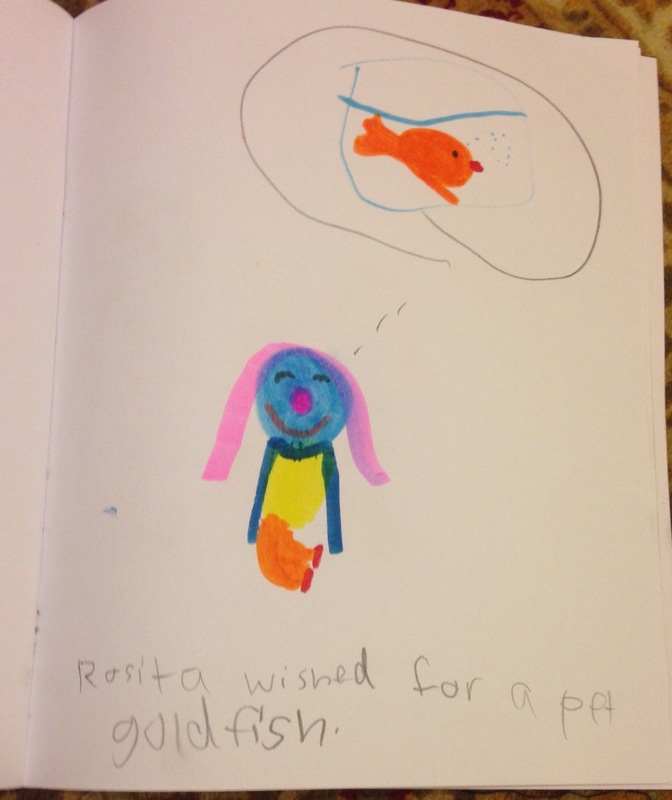 Rosita wished for a pet goldfish. 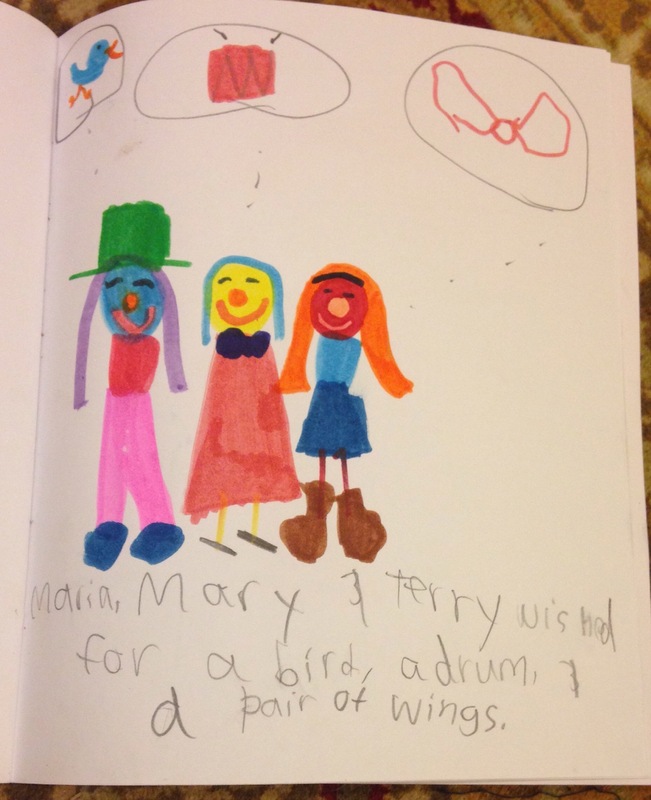 Maria, Mary & Terry wished for a bird, a drum & a pair of wings. 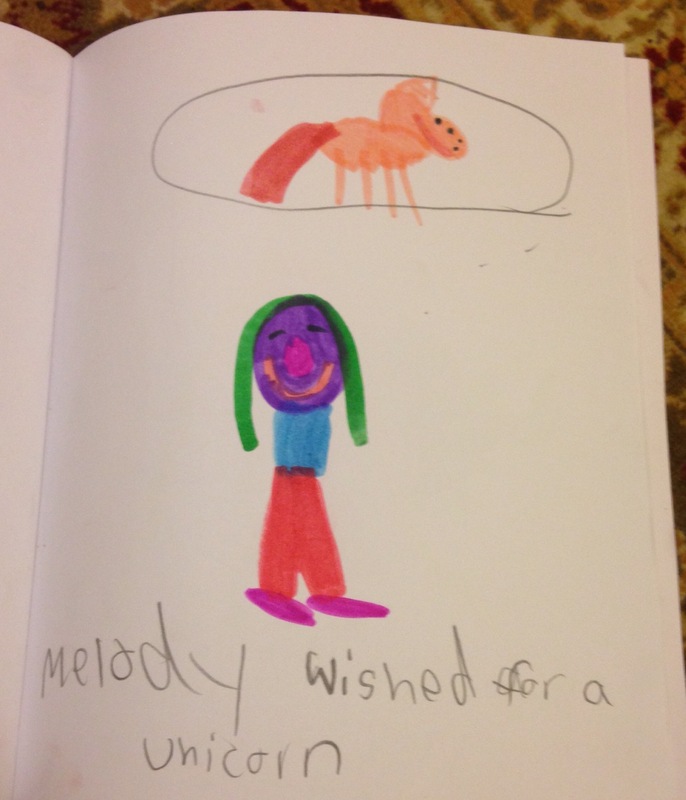 Melody wished for a unicorn. Their wishes came true. 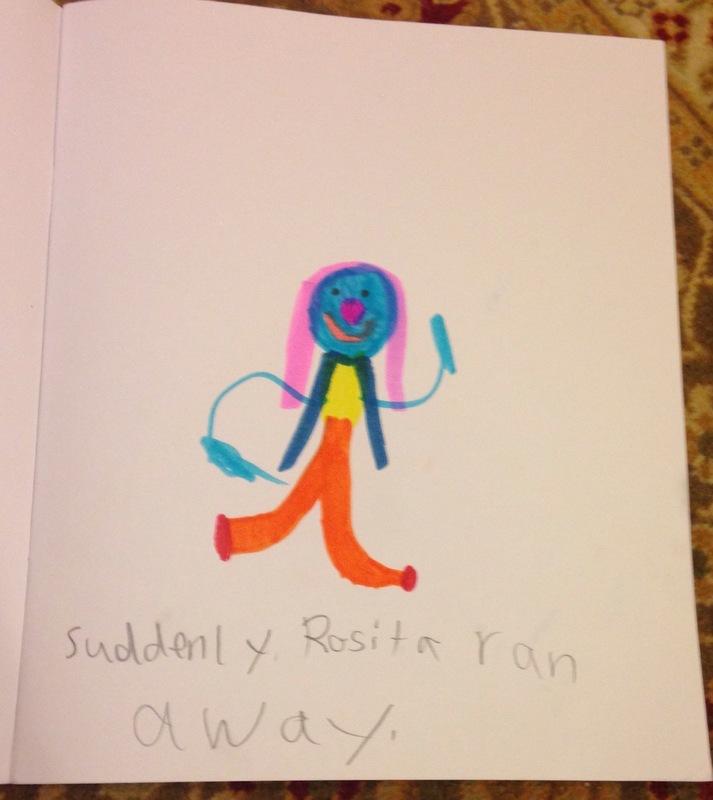 Rosita’s mom smiled. 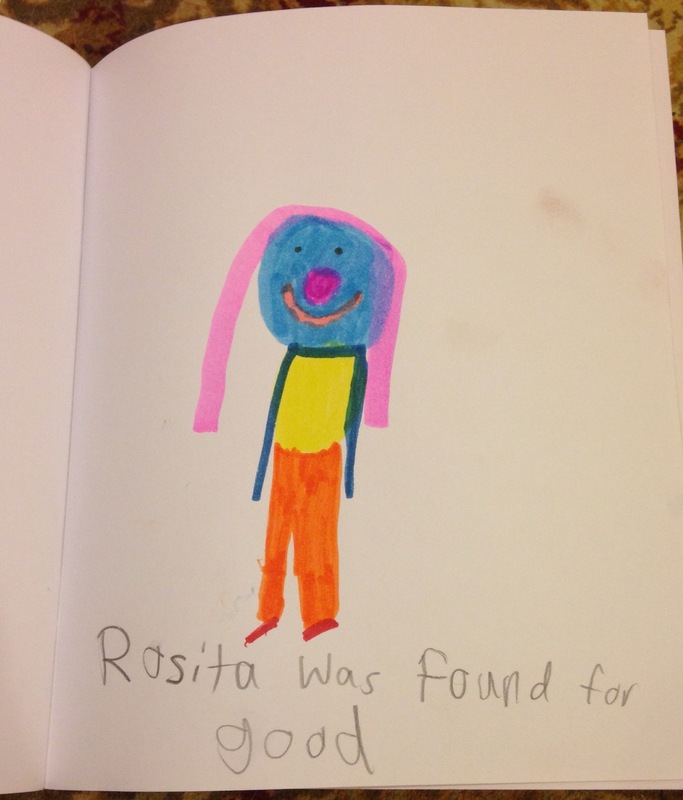 Rosita was found for good. Shared with Brooke’s generous permission, for which I am grateful. I love it! …and to think, I know the playwrite! Bravo to Brooke! Brooke has a talent for storytelling, I think. I’ve read books for younger kids (Kindergarden-Grade 1 reading levels) by adults that weren’t nearly as entertaining. Seriously: This would be a huge improvement on a lot of the basic reader books out there – even on the ones written by adults who supposedly make a living at it and so should be good but aren’t. Anyway, I figured I’d praise Brooke’s story because it’s better than a lot of the kid lit I have to read to my young relatives when I visit. Love the story, love the reality of Brooke proving those so called experts wrong. I love the artwork. The girls all look so colorful and friendly! I’m also laughing to myself while reading this, because I just finished reading a scholarly article that claimed autistic people cannot possibly appreciate literature, because our so-called “lack of theory of mind” means we can’t keep track of what each character wants or knows or thinks. And then I read Brooke’s story, which so beautifully demonstrates mastery of that exact concept. Sorry, “experts,” but WE CAN TOO! This needs to be published! This is such a very, very big deal! So happy for both of you, what an accomplishment. Looking forward to seeing more of her work! She must have big plans asking for 10 blank books. Go Brooke Go! I can’t help but see the metaphor. 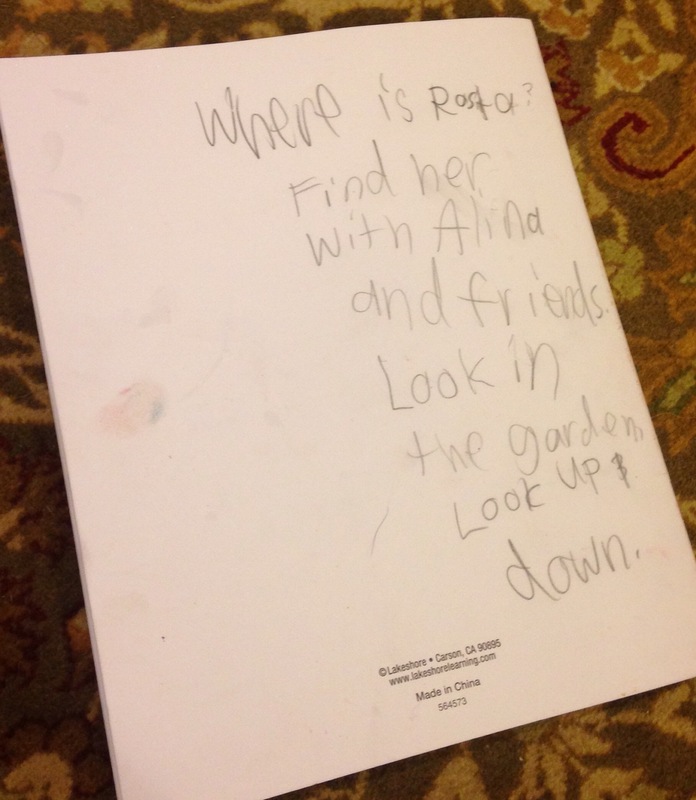 She was lost….she is found, she is surrounded by her friends….ohhh it makes my heart sing. And while others may have thought she was lost, she never did. She was simply playing in the garden among the flowers. Jess; I have many hats, all of which LOVE your blog. I am a mom of an 11 ;year old boy with HFA (used to be Aspergers), ADHD, and anxiety. I am also an OT in the school system. Both of those roles have benefited from your insight and advocacy for our children and adults with ASD. I am thinking about writing a paper to talk about the definition of Play skills and how it is a culturally limited assessment, that we need to broaden how we talk about play to include the methods used by people on the spectrum in play. Any thoughts (I hope this is clear enough, but wanted to keep it short). 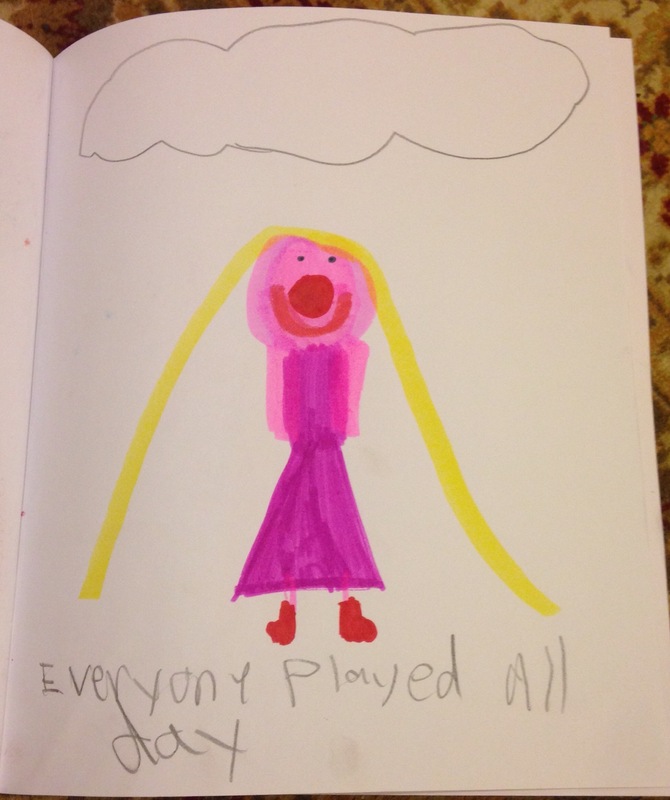 I just hate as a professional and mom when people who say “has poor play skills.” Well wrong…..
i LOVE it. it’s all about perception!! we look through the filter of our neurology and when we don’t see what play in the WAY we expect to see it, we dismiss what IS there and declare it absent. it’s infuriating. I’m so glad you’re writing this. i’d direct you to any of my posts on theory of mind / empathy as the pattern is basically the same. That was a beautiful, joyful story! Where did you find blank books? Speechless before such an onslaught of awesomeness! What a great way to start the weekend. You and yours must be ready to explode with pride and joy. She is a “pride and joy” as everyone’s child is (or has the right to be)! Fantastic story, fabulously illustrated and expertly told. Thank you, Brooke, for sharing. I’m going to remember this story every time I start to think my daughter can’t do something! Congrats to Brooke! 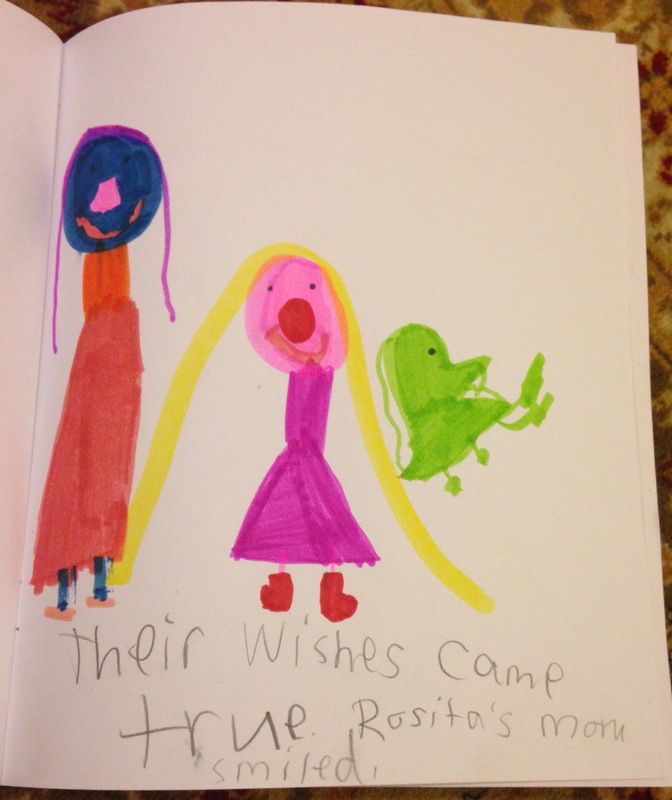 I’m struck by the fact that the kids’ eyes changed when they were making their wishes – “typical” eyes open pictures when they’re playing, and then the “eyes squeezed shut” when they’re wishing. Well done! I love it! Reminds me of the stories I used to write and illustrate as a child.